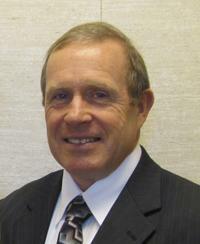 MARK DAVID ELLINGSON of Raymond, Alberta passed away suddenly on August 31, 2012 at the age of 64. Mark was born on December 12, 1947 to Earl and Nellie Ellingson in Taber, AB. When Mark was 19 years old he was called to serve a mission for The Church of Jesus Christ of Latter-day Saints to the Paris France Mission. After returning home from his mission, Mark attended the University of Lethbridge and earned his Bachelors Degree in Education in 1973. While at University he met and married Marilyn Baker of Raymond, Alberta and they were blessed to raise six children together. Mark taught at the Raymond Junior High School for 24 years. He loved teaching and is fondly remembered by his students for his dedication and desire for their success in school. He was also actively involved in coaching various sports. Some of Mark’s former students have started a Facebook group “Remembering Mr. Mark Ellingson of Raymond, Alberta,” where there are tributes to him as a teacher, coach and friend. He was very active in his community and church; serving as a Bishop for the Raymond 3rd ward, as a Stake High Councillor and as a scout leader for several years. Mark will forever be remembered as a kind and loving neighbor; for his love of hiking, camping, gardening, woodworking and especially spending time with his family. One of the highlights of his life was serving a mission with Marilyn to the Cambodia Phnom Phen Mission for 18 months. They worked with the Perpetual Education Fund of The Church of Jesus Christ of Latter-day Saints helping under privileged young adults with their post secondary education. Mark leaves behind his loving wife of 42 years Marilyn Ellingson (nee Baker), his six children: David (Kim) of Woodburn, Oregon, Karen (Justin) Wilde of Edmonton, Jennifer (Rodney) Holt of Red Deer, Darren (Traci) Ellingson of Raymond, Steven (Esperanza) Ellingson of Mississauga, ON, Diane (Cole) Gorner of Chetwynd, BC. He is also survived by 17 grandchildren, his mother Nellie Ellingson (nee Parry), brothers: Parry (Krys), Richard (Annette), John (Janice), Robert (Paula) Ellingson, sisters: Anne (Louis) Turcato and Bronwyn (Brian) Freeze, mother-in-law Moselle Baker (Anderson), sisters-in-law: Barbara (Gary) Pack, Beverly (Ted) Anderson, Suzanne (Darel) Steed, Jackie (Ken) Romeril and brother-in-law Dennis (Cindy) Baker and numerous nieces, nephews and cousins. Mark was predeceased by his father Earl Ellingson, father-in-law Claude Baker and nieces Mary Tilson (nee Ellingson) and Kate Ellingson. Friends may meet the family at the LDS – Knight Street Chapel, Raymond on Wednesday evening, September 5 from 7:00 to 8:30 p.m. or on Thursday prior to the service at the church from 9:45 to 10:45 a.m.
Funeral Services will take place Thursday September 6, 2012 at 11:00 a.m. at The Church of Jesus Christ of Latter-day Saints KNIGHT STREET CHAPEL, 260 E 200 N Raymond, AB with interment at Temple Hill Cemetery. Donations in memory of Mark can be made to the Perpetual Education Fund of The Church of Jesus Christ of Latter-day Saints at pef.lds.org/inmemoriam. Christensen Salmon Generations Funeral Home Ltd.
We were saddened to hear of Mark’s passing. I always looked up to him as an example of the type of person I wanted to be. May the Lord’s choicest blessings be with you and sustain you during this time and in the future. I’m sorry that I was unable to attend the funeral services. We are taking my youngest son to college of Friday.